The Milwaukee Road maintained a small yard in the state capitol of Madison, Wisconsin, adjacent to the station. 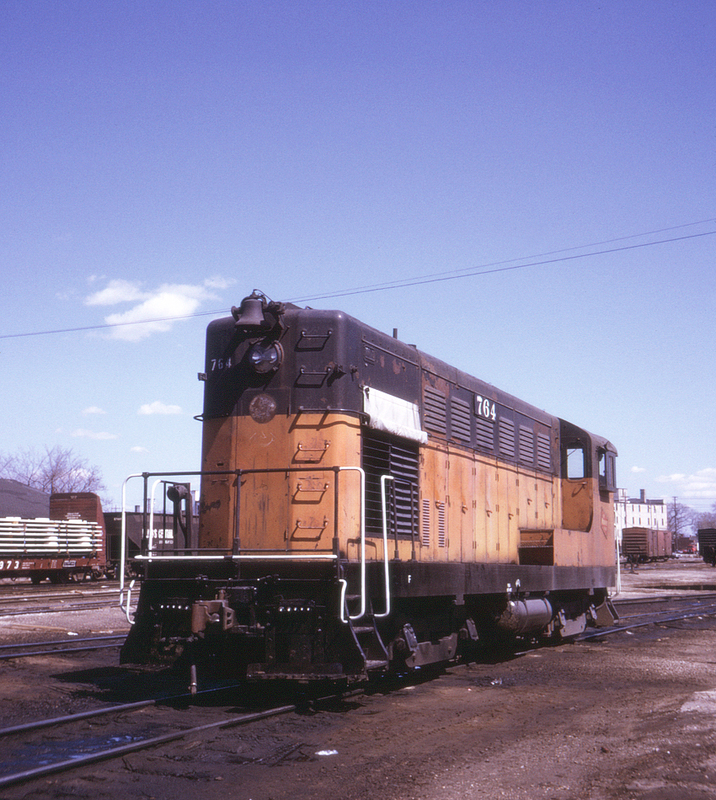 Here Fairbanks-Morse switcher no. 764 awaits its next task.